Where Is Freedom Located Right Now? Yes that’s right, 24 hours a day, 7 days a week, your friends and family can go online and track your travel adventures and sailing progress in real time. Just send them a link to this page, then just CLICK THIS LINK TO FOLLOW LINK TO OUR TRACKING WEB PAGE. And you can Click This Link to follow Freedom’s Sailing Yacht AND Our Blue Tang Speedboat! When you first click the link, zoom out using the slide bar on the left side of your screen. 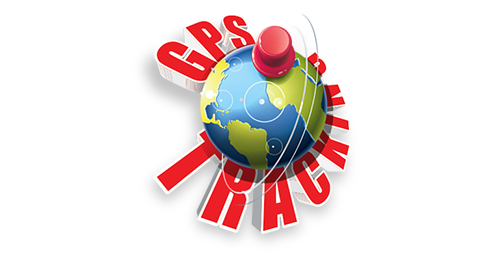 Then click on the “Satellite” button on the top right of your screen to have our location placed on Google Earth’s satellite maps. You will see a long trail of where we’ve been and where we currently are with Freedom. This makes it fun for your friends to see exactly where you’re sailing on Freedom as you sail around the Virgin Islands. New position information is automatically uploaded from our satellite position tracking system every 10 minutes. Whenever we drop anchor or stay in one place, then the satellite updates will go into “Stand By” mode and not begin posting new updates to the website until the satellite detects that we are moving again. 50 updates, at 10 minute intervals are posted on each page and you can see up to 7 days of updates by going to the bottom left corner of your screen and clicking to go to the next page, which will take you to the previous 50 position updates. And sometimes inbetween charters, if our boats are going to be anchored on the mooring ball for a while then we might take the satellite transponder with us into town as we ride around the island running errands or just enjoying and exploring the beautiful Virgin Islands that we call “home”. To Follow Us Everywhere! CLICK HERE to see where we are right now! At Freedom Sailing Charters, we excel at providing fun-filled, exciting Virgin Islands Sailing Vacations in the beautiful Virgin Islands with both U.S. and BVI charters . We provide customized, Virgin Islands Sailing Vacations. Our BVI Sail Vacation comes with everything you need for a great time, super comfortable accommodations, food and all alcoholic and non-alcoholic beverages are included. Discover the joys of island hopping from your personal, fully furnished luxury sailing yacht. Your Family Boat Vacation will create just the perfect itinerary… It’s like having the best luxury resort hotel that changes its location and view every day! Click This Photo To See Tons Of Video Testimonials From Our Past Vacationing Guests! "The meals onboard Freedom were amazing! Something Exotic, tropical and different at every meal. So delicious! Barbie you're amazing!" "They have all the coolest and best toys on Freedom! I went kayaking, scuba diving, water-skiing, paddle-boarding, snorkeling and tubing. And that was just on the water. I lost track of all the fun land activities we did!" "The custom vacation itinerary that Captain Frederick put together for us was unbelievable. We told him our interests and favorite hobbys and he took care of the rest..."
"After our vacation on Freedom, now we see why everyone says it's the best vacation they've ever had... These guys really know what they're doing!" These Guys Really Know What They're Doing! "This vacation was especially memorable due to all of the amazing adventures that the crew introduced us to. Without having met Zen-Len, I would never in a million years have fathomed scuba diving with sharks. Nor would my wife have ever thought that she could get to touch a live sea turtle. Both made possible by the amazing crew aboard the Freedom." "The boat had just about every water-toy I could imagine. My wife and I kayaked, snorkeled, and even went scuba-diving with sharks. Atop this came the seriously awesome toys. Videos of my wife and I water skiing and knee boarding are premiered in our living room every time friends or family come over. The first few rounds we really ate it on the falls." They Had So Many Water Toys! "The Freedom sailing yacht itself is such a beautifully designed boat, that it made our first afternoon, leaving it to go ashore an almost impossible task. With her sails caught full in the wind, my wife and I were often in a romantic fantasy also known as our Virgin Islands, not-so-virgin vacation." "Chef Leeanne, held the crew together in a sweet bow tie. She is the perfect hostess, making us feel like VIPs and creates the most amazing tropical meals. However, even the beach bars we visited don't compare to her Virgin Island, not-so-virgin smoothies. Not taking her home with us was a big challenge upon our departure from the Islands." "Captain Frederick's direction alone totally made our vacation. His custom itinerary was perfect, complete with suggestions for restaurants, beach bars, snorkeling, hiking and exploring the most isolated and beautiful beaches. I owe him for our Virgin Island experience and often wish there was a Frederick for every vacation destination." "Zen Len, onboard Freedom was not only extremely knowledgeable when it came to navigating the Virgin Island waters scuba-style, but was generally fascinating. What a life that guy has led! Zen-Len became more like a best friend than part of the boat's crew, and often shared countless life stories, ones of which my wife and I still chuckle over every now and again." "We reviewed all the charter boats we could find, and after reviewing the crew's profiles and the all-inclusive-price offered if we chose Freedom for our vacation to the Virgin Islands, we knew Freedom was the choice for us. And we were right!" "When faced with the decision of whom to trust with our anniversary vacation to the Virgin Island, after extensive Charter research, and reviewing different crews, we decided on the Freedom sailboat. That leap of logic was without a doubt the second best leap we have ever taken, the first of which being from the deck of the Freedom into the crystal waters of the Virgin Island." "We feel in love with the Virgin Islands while sailing on the Freedom yacht. Whether it was the beautiful boat, or sipping Leeann’s secret Alcoholic Smoothies on the sun deck or meditating during Zen-Len’s sunrise yoga sessions, or strolling the romantic beach's and partying at the tiki beach bars Frederick took us to, whatever it was, we fell in love!" We had the best family vacation ever onboard Freedom. This vacation helped us to reconnect with our teenage kids in a way like never before. Thank you Len, Leighann and Frederick, Thank You, Thank You, Thank You! "Our entire family agrees that our sailing trip in the Virgin Islands on Freedom was the best vacation ever! There was always something new, different and exciting to do every day for every member of our family." Click Radar Satellite Tracker To See Exactly Where Freedom Is Right Now!